Q. How do I get to Cowes? Approaching Cowes from Spithead and the east, look for the Shrape Beacon, about 300 metres northwest of Old Castle Point. 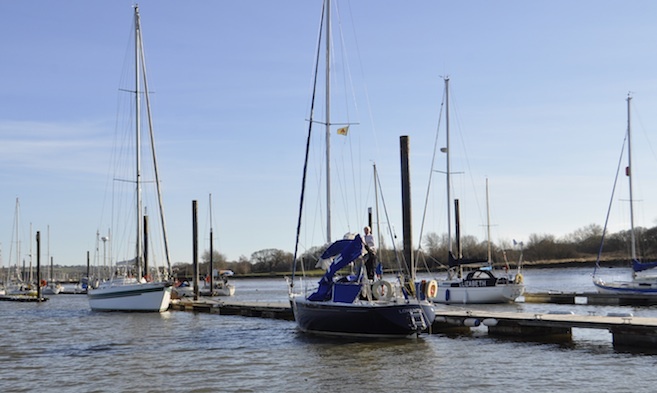 The tide gauge on the Shrape Beacon will indicate if use of the Small Craft Channel is practicable; if not, head for Egypt Point to the west, leaving any small craft moorings to port before entering the Inner Fairway north of the Royal Yacht Squadron. Vessels approaching from the west need to keep a close lookout for unlit mooring buoys inside the large Gurnard north cardinal buoy, and where possible, yachts starting and finishing races off the harbour entrance. All vessels approaching Cowes should do so at a safe speed, maintain a good lookout and give full consideration to other vessels, many of which are manned by inexperienced crews. See also the Approaches to Cowes section. Q. How can we get off the non walk-ashore pontoons? There are numerous Water Taxis available, or you may use your tender to get ashore. For the most up-to-date information, visit our Water Taxis section. Between Cowes Harbour Shepards Marina and Cowes Harbour Services - Moorings we can accommodate yachts and motorboats up to 30m in length and 4.5m draught. For special events, or bespoke moorings, please get in touch to discuss your requirements. Please Contact Us and we will be happy to discuss all your needs. Q. Where can we get fuel? There is a nearby fuel berth, just 200 metres south of the Chain Ferry underneath the large hammerhead crane. The Cowes Harbour Services Fuel Berth is open seven days a week, providing easy, deep water access and competitively priced fuel. You can pay the Berthing Masters who will come around collecting dues. They can take cash or card payments. 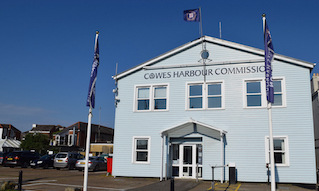 Or, pay at the Harbour Commission Office, Town Quay, Cowes PO31 7AS. You can also pay at Cowes Harbour Shepards Marina, Medina Road, Cowes PO31 7HT, which is near the Chain Ferry. Phone Cowes Harbour Office on 01983 293952 and they will take payments over the phone.